Good morning! I hope you've had a great week. I'm actually on vacation today, so this will be a quick post before I head to the beach! Starting with reading this week, I participated in the High Summer Read-a-Thon hosted by Michelle at Seasons of Reading. I finished reading The Bookman's Tale: A Novel of Obsession by Charlie Lovett. Then I read 104 pages in The Land of Stories series by Chris Colfer. I'm hoping to read more of that on the beach this week! 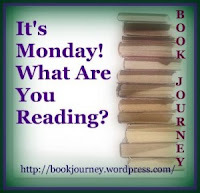 C read The Mysterious Benedict Society by Trenton Lee Stewart. And M read Happy Birthday, Bad Kitty by Nick Bruel. I did write one review, as well: Orphan Train by Christina Baker Kline. Now it's time to hit the beach! Oh, we LOVED The Mysterious Benedict Society - listened to it on audio on a summer road trip one year. One of my book groups just discussed Orphan Train and I missed it, but I still want to read it. Focused on getting through my Big Books right now, including several for September book groups. Enjoy your books and your vacation! The Land of Stories is a big book. :) I may read the Benedict Society too. I think that also qualifies!! Have a good week. The Land of stories books are a big hit at our house right now- my daughter just snapped up book 3 on vacation and devoured it it like a day or so. Enjoy the summer reading! We just picked up the third one on vacation too, and I'm sure he'll finish it before we get home! I want to read The Bookman's Tale. I loved the Orphan Train. Going to check out your review. Her new book, Sweet Water, is also very good. Thanks for joining me again! Hope you enjoyed it. Have fun on your vacation and happy beach reading!